Chi!! As its name, the place is simple, sweet and cozy. 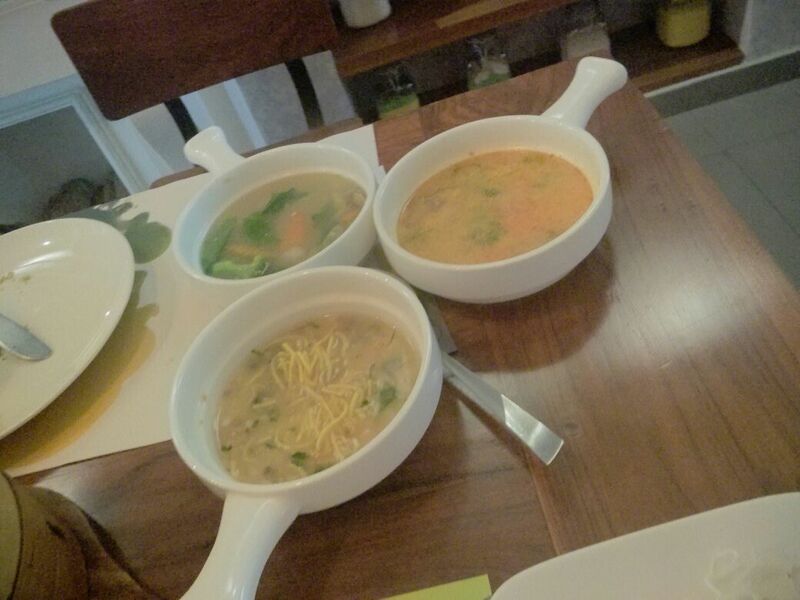 Chi Asian Cookhouse, located on the first floor, opposite Janpath in Connaught Place has an airy, summery feel to it. Offering authentic Asian cuisine in the heart of Delhi, you enter into a classy, sober, subtle décor. Done up in white bricks and providing a seating space of approx. 70-80 pax, the place can definitely be in the list of your fav hangouts in CP. A few random splashes of yellow, bottle green, turquoise, blue are soothing to the eyes. 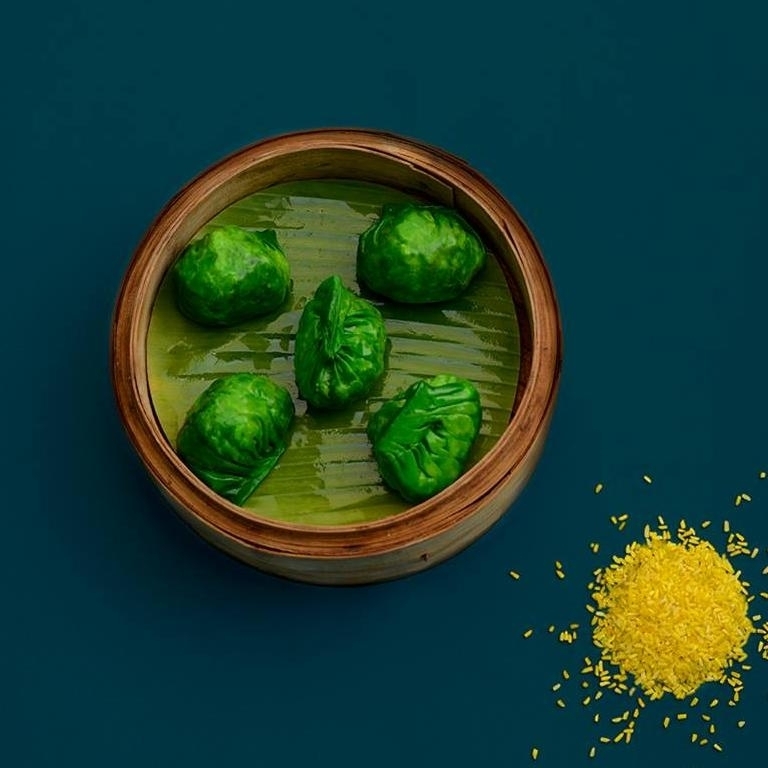 A shelf holding multiple jars with coloured beans is what surely catches your attention, and of course the name of the restaurant written in yellow on a bright bottle green background makes for a selfie-perfect background. 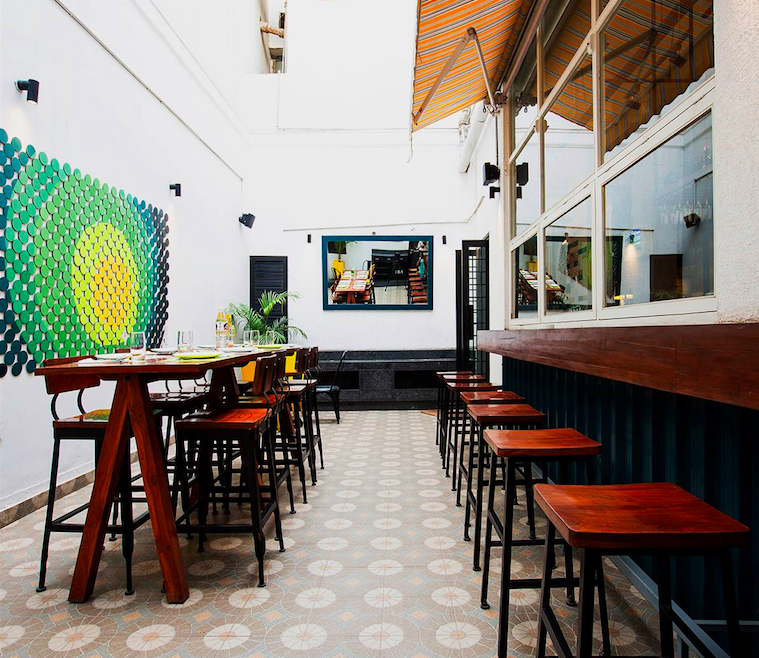 A large bar on the left offers a wide range of exotic drinks and the kitchen with a glass window at the end, styles the surroundings well. A group of friends with me went looking around for a snack before we started with our frantic shopping spree in CP and hopped into this new place with much anticipation. Flipping through the menu, the a la carte offers a platter of Asian savouries and their newly launched Sunday Dimsum Brunch is an excellent option to choose. So, the ultimate foodies that we are, we decided to go for the dimsum brunch and much to our hope, the fixed menu has a lot on the plate to offer. We started with the soups in offering. Limited, yet amazingly tasty. The Manchow Soup tastes usual like an old school classic and has its flavor intact. But the one not to be missed is the Chiang Mui Glass Noodle Soup. This one is marvelous in terms of the freshness and crunchiness of the veggies, the tenderness of chicken chunks and the authentic aroma of the broth. Light on the tummy and a yummy start to what was about to follow. Our excitement rose even more as we got to the selection of dimsums. This is indeed the strength of the restaurant and its menu. 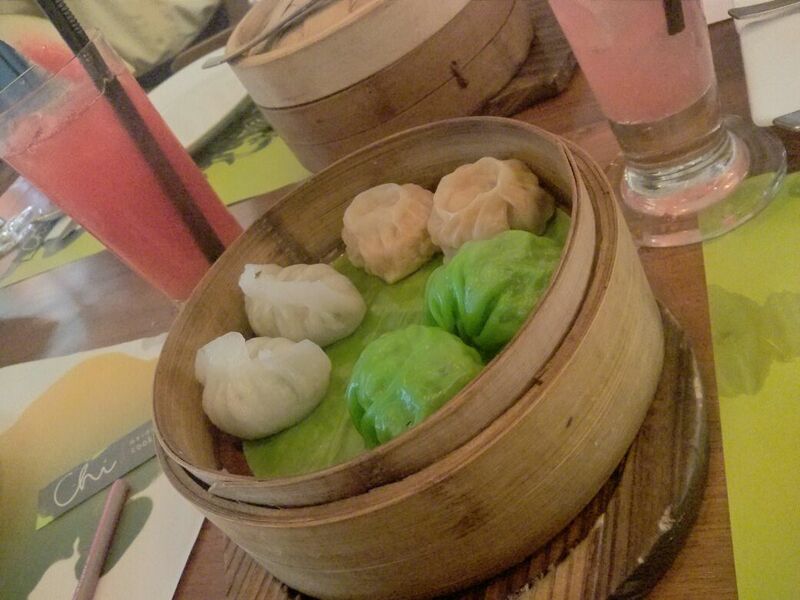 A perfect way to unwind, we indulged into a tasty treat of non-veg and an equally mouth-watering variety of veg dimsums. We started with Banana Leaf Sticky Rice & Minced Chicken dumpling and went onto tasting Spicy Chicken dumpling. 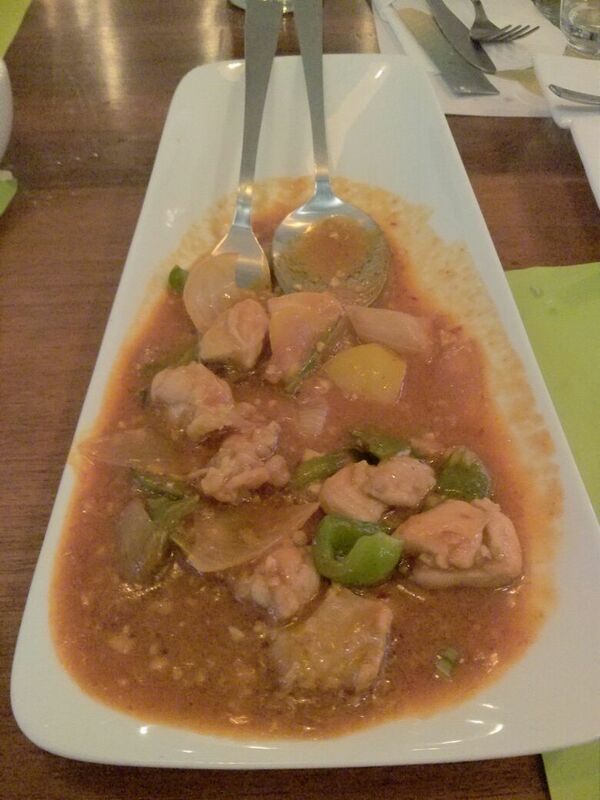 The former, as the name suggests was mouth-melting, but Spicy Chicken dumpling remained a common fav to us all. Others on the plate were Siu Mai (chicken), Chicken & Coriander, Prawn in a Nest, Fish in Thai curry paste, Roast Pork Crystal dumpling and the likes. My personal beloved – Roast Pork Crystal which had all the amazing flavors and softness of pork, but definitely not that strong whiff you might expect from a pork dish; and Fish in Thai curry paste – aptly flavored and lip smacking. Veg dimsums included Hargao, Spinach & Mushroom (you got to try this combination), Spicy Vegetable, Tofu Tausi, etc. which were likewise delicious and flavorsome. Tofu Tausi dumpling was distinctive – drowned in a well-spiced black bean sauce; super high on zest. Along with these super variety of dimsums, worth a mention is the range of their condiments. About 6 different tangs of sauces to accompany dimsums included burnt garlic sauce (typical, my fav – not so pungent in aroma and brilliant to taste), soy chili sauce (dried red chilies in soy sauce), red chili sauce (hot hot hot! beware), etc. Over all, dimsums remain a hit! Moving to the main course, we savored Chili Garlic Noodles and Mao’s Chicken and Cornchurian (a corny twist to the classic Manchurian). A simple high on essence, we enjoyed the combination a lot. The food tasted fresh with an optimum perfection of spices. If not for the regular garlic flavored noodles, you can relish Mandarin Noodle or Sticky Rice. Along with all these utterly delicious dishes that we were munching on, we tried out various thirst-quenchers on the house. Including a mix of alcoholic and non-alcoholic beverages, we had quite a few to choose from. We tried the Tokyo Cobbler (a dose of fresh rose petals and litchi juice), Watermelon Cooler and Virgin Mary (standard and traditionally prepared). 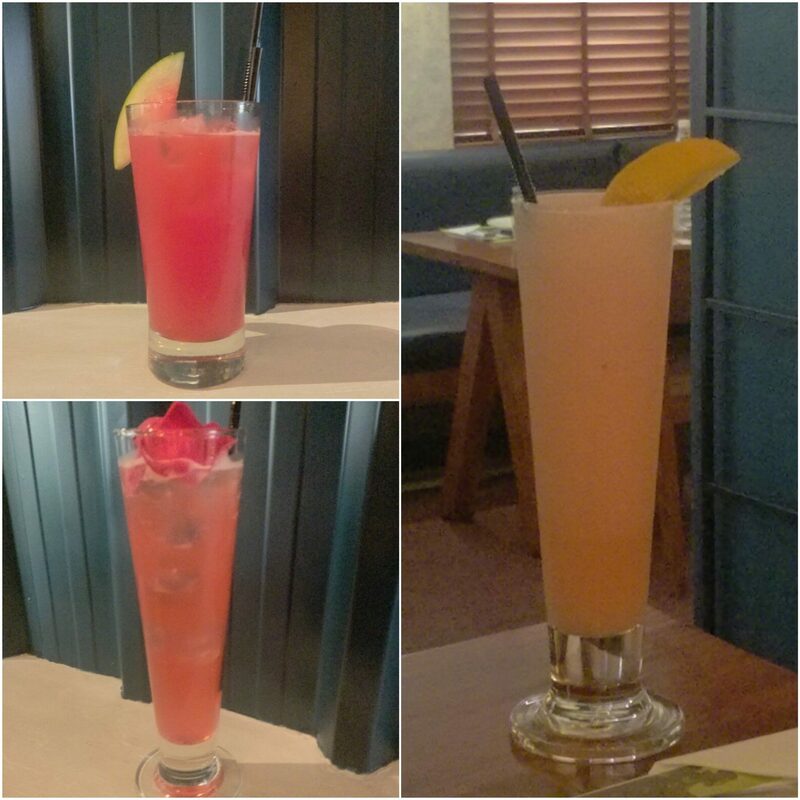 The freshness of the drinks made them perfect for a hot Delhi summer afternoon, rather a rainy day in our case. From the alcoholic collection, we loved loved loved (yes, loved them so much!!) Kaffir Daiquiri and Soju. Both of these are a must try and very unique to this place. Daiquiri being a mix of lime, white rum and fresh mint leaves; Soju is a neutral spirit – strong & dry, which we loved. Oh! Did I tell you how much I loved these beverages? Last, but definitely not the least, were the desserts. 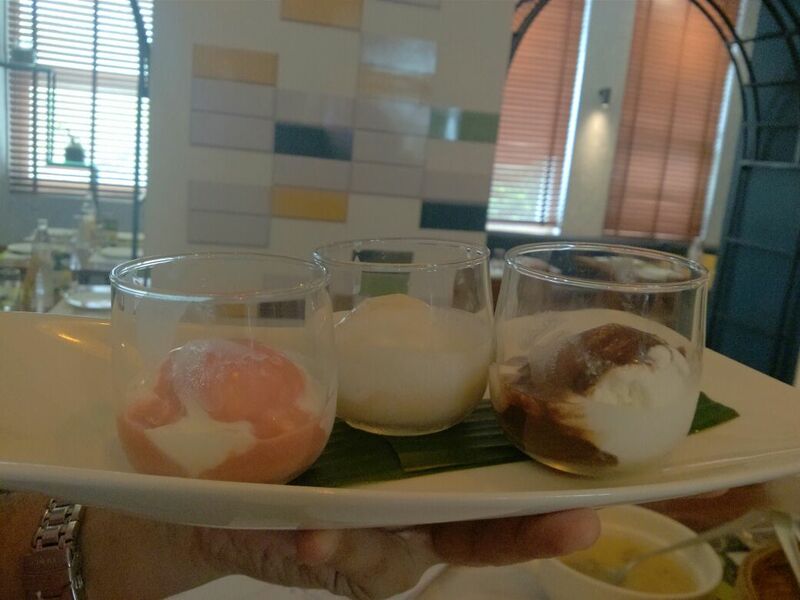 Our sweet tooth had the treat of Darsaan and Ice Cream Trio. 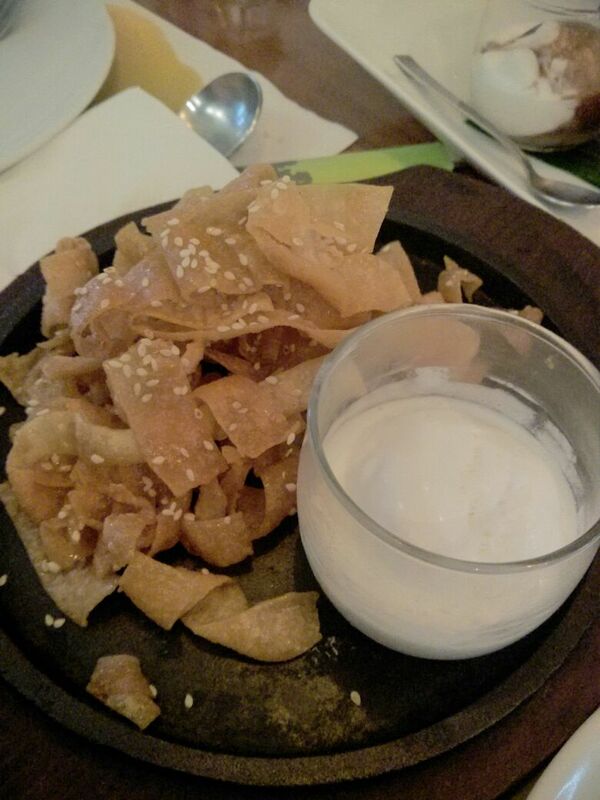 Darsaan – a preparation of honey glazed wonton noodles sprinkled with sesame seeds; with a scoop of ice cream. The noodles were soft with a crispy edge and went extremely well with the accompanying vanilla ice cream. Ice Cream Trio – three scoops of ice cream topped with three different sauces – chocolate, strawberry and coconut orange. Apart from the one in CP, they also have a hangout in SDA Market, opposite IIT gate and an upcoming eatery in Noida. The hospitality was warm and welcoming, giving us a memorable experience. Needless to say, Chi Asian Cookhouse is now on our list of fav restaurants and we definitely recommend it if you’re a fan of Pan Asian cuisine.